Yup, TPS7Aхх family, both positive and negative one. These are quite low-noise (compared to DC-DC boost converter), also the way negative rail is arranged in DSD creates uneven voltage on positive and negative rails, and negative rail is only capable of delivering a fraction of current (I believe). So all in all these SHOULD make an improvement, but soldering them in place of the inductors is tricky, so much kudos to So-Hm for getting these LDO going, I would not even dream of attempting it. On the other hand capacitors (both electrolytic and ceramic) should hold enough charge/provide sufficient filtering to clean up +/- rails, so this mod may or may not provide significant gain in terms of quality. I also note that more recent and advanced chi-fi DAP designs (IHIFI Tuner) use TPS7Aхх family LDO in a similar way, but utilise more recent/better specification QFN form factor ones. Merlin-PT and HeyManslowdown97 like this. I believe upgrading oscillators will have a bigger impact to your sound since it involves conversions directly to AK449xx chip than the voltage although in the case of the TPS73250 processing is pretty impressive and it ain’t your grandpas LDOs so I would imagine that basic electrical practices have changed in past 30 years or so with Moore’s Law. It’s also important to note that datasheets are mere standard guidelines set by the manufacturers who make recommendations based on Lab results. I’ll also add that experimentation on this thread doesn’t bother me but I can’t speak for the rest. “Basic research” often doesn’t start off having practical nor commercial application but eventually become the fountainhead to something useful. I am thinking of using a CMOS op amp as a buffer in the lpf which makes a lot of sense based on unscientific hunch. Didn’t know AK makes their own wonder if they are any good or enhanced their signature velvet sound and overall performance. What do you mean when you say "conversions directly to AK449xx chip"? Oscillators provide clock reference, replacing them with more stable versions (like I and some other members here and on russian counterpart forum, which is absolutely safe to use by the way, done) improves jitter, which has positive effect on HF quality (softening highs up) and soundstage. Replacement parts are readily available from arrow and their codes are easy to find using search function in this thread, so the hard work of finding suitable and compatible yet inexpensive components and confirming that they work has been collectively done. TPS73250 does not do ANY processing whatsoever, it provides AK4497 with 5V power source, used to power analog output section of AK4497 and serve as a VREF. Compared to (genuine, but lower quality, not "fake") stock LDO it has reduced noise, providing yet another incremental quality upgrade. 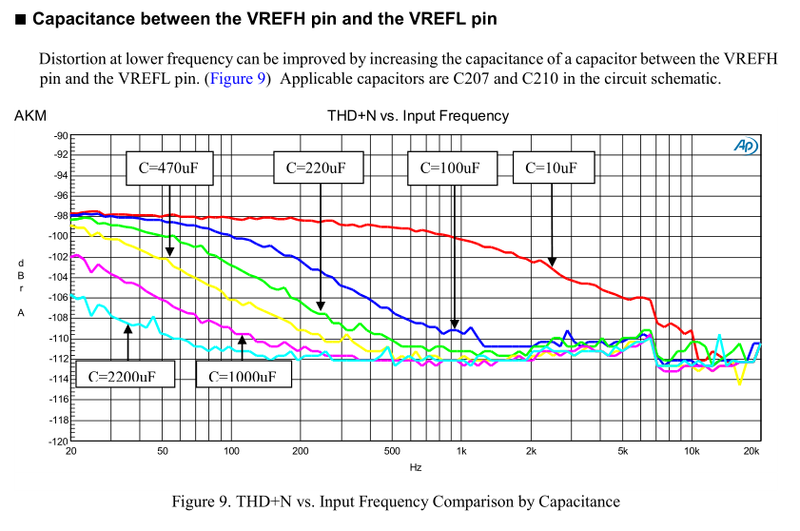 I believe the best way is just replace both oscillators and LDOs and add VREF capacitance and have a good listen, this will leave very little room for speculations as to what effect replacements/upgrades may have and which component has more significant effect on sound quality, again this has been done by a few members already, who posted their impressions in this thread. Now you know why China and Russians engage in Cyber espionage to steal IP processors developed by the West and troll armies in elections are weak attempts. I wouldn’t hang out on those sites. I get warnings every thing I’ve clicked them. Just my opinion though. I'm more concerned about xenophobic political comments and getting no warnings before I click some other forums I use. zato23, Themilkman46290 and ThanosD like this. The matrix quote I made was 100% a compliment to the mods Ivan did. How everyone who upgraded to 0.4I finds it? 5. Strangely enough there's much more noticeable difference between lossless and lossy (mp3) files sound quality. FLACs are like "wow! ", mp3s are like "ups, that's embarrassing"
Overall sonic profile became very close to F.Audio FA1 (as I remember it), but obviously without any annoying clicks that FA1 had. Makes me very happy , as the whole point of buying into AK4497 DSD and modding it was to get that mesmerising FA1 sound while FA1 was useless to me due to clicks. pitsel, endia, Merlin-PT and 1 other person like this. In the end, it was between v5i for the mids, 2 lme49710 was the best all around but took alot of battery life, the muses8920 gave me the bass i wanted but i still switch between it, the ad823 for its imaging and warmth. kookaudio, nesty, DBaldock9 and 3 others like this. pitsel and DBaldock9 like this. I also noticed the softer/silkier highs mentioned, to me the highs sounds better in some passages, but I'm not sure about all songs, I need to listen more. Does anyone hear a Left side favor in the channel balance? After the update? Could be my ears. Check the caps with a multimeter. Would be my guess? It must not be firing out all cylinders. Or somewhere the board is making contact eventually. It happened me. And the 2.5 and 3.5 is faulty at times.Also I’ve found it takes a while for the Zishan to warm up; it’s got some kinks. Thanks, I’ll check it out tomorrow. It’s slight but noticeable. I switch the headphones L R ear sides to rule out music, ears and bad placement in ears. If possible also try with other headphones. If you need to open the box, try to press or change the socket opamp, bad opamp connection to the socket can do that. silverfishla, DBaldock9 and Themilkman46290 like this.